With most of the Russian media under Kremlin control, the internet has been a popular source of independent information. But now this window may be closing, with major online news sites blocked by the authorities. Lenta.ru quickly removed the link, but for several hours the story was a hot topic on social networking sites, discussing the motive for the decision, and its possible consequences. In law, after two warnings in a given year, Roskomnadzor can apply to the courts for the termination of a media organisation’s licence. In this instance, nobody was talking about Lenta.ru losing its licence, but the site more or less closed down the same evening, despite there having been no further hassle from the officials. Billionaire oligarch Alexander Mamut, who owns Afisha-Rambler-Sup, the media group that includes Lenta.ru (and Waterstone’s the booksellers, in the UK) fired the site’s editor-in-chief, Galina Timchenko, ostensibly because of the Roskomnadzor warning, and within half an hour her office had been emptied. At a certain point, for Alexander Mamut, political conformity became more important than business interests. A Roskomnadzor source summed up the story: ‘Mamut was using his political intuition.’ In other words, at a certain point, political conformity became more important than business interests. Sources at media consultancy group RBC immediately predicted that Timchenko’s departure would ‘reduce Lenta.ru’s share value to zero,’ although it had previously always been a good money spinner: RBC estimated its 2012 profits at between 200m-250m roubles (£3.36m- 4.2m), and business daily Vedomosti put them at 237m (£4m). Google Analytics reported an increase of 37% in visits to the site between January and February this year, reaching over 20m unique visits a month, and 85m visits overall. The muzzling of Lenta.ru has left Russia without a single completely independent online media platform, with a daily audience in the millions. There was something inevitable about such a move: the political crisis in Ukraine, the annexation of Crimea to Russia, and the need for blanket pro-government propaganda definitively alerted the Kremlin’s attention to the internet, the last outpost of Russia’s independent media. Timchenko’s sacking, then, and the de facto closure of Lenta.ru were no surprise. 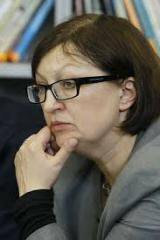 There had long been talk about the displeasure of presidential officials, and indeed the unhappiness of the publication’s owners, at such independent mindedness – and the more influential Lenta.ru became, the more persistent the rumours about Timchenko’s impending removal. Russia is left without a single completely independent online media platform, with a daily audience in the millions. Lenta.ru’s influence as an online information resource, unlike that of general interest internet titles like Kommersant or Vedomosti, arose out of its constantly growing readership. As Timchenko herself told another independent online platform, Slon.ru, the crisis in Ukraine, as well as the site’s freedom of choice in its format and the subjects it covered, gained it 3m unique visits a day at a certain point. ‘I realised that our influence and impact on our readership had reached its highest peak ever,’ she says. ‘I’m not saying it scared me, but I knew that this level of reach was inevitably going to get somebody – the Kremlin, our oligarch owner – on our case, and that I should be getting worried.’ The question was not ‘if’ but ‘when’ Mamut would take the decision to fire her, for he had also been getting rid of independent minded heads in other parts of his media empire, covering news and political issues. In September 2013, Mamut had sacked Svetlana Lolayeva from her post as editor-in-chief of another once influential online media platform in his group, Gazeta.ru. Lolayeva, who had worked there since 2007, was replaced by Svetlana Babayeva, a columnist with the state-owned news agency RIA Novosti: ‘He told me he had no complaints about my work,’ Lolayeva said at the time, ‘but that they had been looking for a new editor-in-chief for some time’. For her, however, Mamut’s decision came as a complete shock. The crisis in Ukraine had gained Lenta.ru three million unique visits a day. Babayeva has since replaced most of Gazeta.ru’s columnists, and the commentary section sometimes runs articles by Vladimir Markin, the press officer of Russia’s Investigative Committee (equivalent to the FBI). The political editor, on the other hand, has problems filling his news columns: key changes in policy have led to most of the paper’s former leading journalists and editors going elsewhere. The problems at Gazeta.ru admittedly began much earlier than those at Lenta.ru, and they weren’t always connected with Mamut. Founded, like Lenta, in 1999, Gazeta, unlike its rival, always positioned itself as a full-blown online newspaper where news was not the main agenda: its journalists produced self-contained feature material with in-depth coverage of a range of subjects, and interviews with various public figures. For a long time, the Kremlin took no notice of Gazeta.ru: the internet was not on policymakers’ radar – they were still getting their news from TV and the printed press. That situation changed in 2009, when then President Dmitry Medvedev’s political agenda, ‘Russia, Forward!’ was published on Gazeta.ru – an attempt by his aides to show that here was a man of the moment, a fan of new technology and modernisation, and also to stress Medvedev’s stylistic distance from his conservative predecessor Vladimir Putin, who had often admitted that the internet was not an information source he ever used. Two years later, in December 2011, in the run up to elections to the Duma, Gazeta.ru was one of the first online media outlets to be subjected to direct political pressure. The paper had joined up with election watchdog NGO Golos to monitor fraud during the elections, and had set up an outlet for any internet user to post information about any instance of illegal activity on the Gazeta.ru site, but the page banners for this ‘special project’ suddenly disappeared from the site, removed on the orders of Gazeta.ru management. At the same time, a number of government-controlled media outlets began a campaign to discredit Golos, the most prominent and independent election monitor NGO. 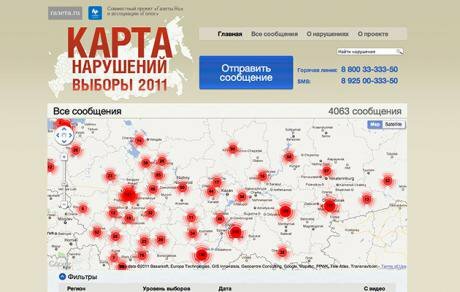 Gazeta.ru's 'Rigging Map' of electoral violations with the NGO Golos - an online step too far. The then editor in chief of Gazeta.ru, Mikhail Kotov, explained the disappearance of the banners by claiming that the bandwidth designated to carry the ‘Rigging Map’ turned out to be needed by advertisers. His deputy, Roman Badanin, whose idea the ‘Rigging Map’ had been, resigned in protest, on the assumption that the management had been leaned on from ‘above.’ Kotov himself resigned in 2013 because of disagreements about the strategy for the paper that Mamut’s appointees wanted to follow. There seems little likelihood of any let up in the pressure being applied by the Russian government to internet media. On the day after Galina Timchenko was fired, internet service providers simultaneously removed access to three opposition media sites, Grani.ru, Kasparov.ru and ej.ru (Yezhednevny Zhurnal): Roskomnadzor had added their content to its blacklist of prohibited information. This was also the first time the so-called ‘Lugovoi Law’ (named after its author, Duma Deputy Andrei Lugovoi) was invoked; this law, passed in February of this year, allows internet providers to block sites without first having to get a court injunction. These three sites had a much smaller readership than Lenta.ru or Gazeta.ru, but they formed a pool of ultra-liberal online media outlets widely known in opposition circles. As soon as they wrote about Timchenko they were blacked out. Despite this clampdown on internet media, there are still a few independent news sites online. One of the best known of these is Slon.ru, launched in 2009 and funded by banker Alexander Vinokurov. Although Slon positions itself as a business paper, its coverage of general news and current affairs is equally strong. So far, it has not been touched by the authorities, and its independent stance has attracted some former Lenta.ru staff, who have been giving its information services a makeover. The future of independent online news media in Russia is still unclear. In the present situation the likelihood of continued government crackdowns does not encourage any investment in new titles, from either a financial point of view, because of the impact of a lack of advertising revenue has on profits, or in terms of potential investors’ relations with the Kremlin. After the recent closures there is increasing discussion in the media world of crowdfunding, raising money from small individual investors, which makes sites independent of wealthy backers who can be pressured. One example of this is the online magazine Colta.ru. 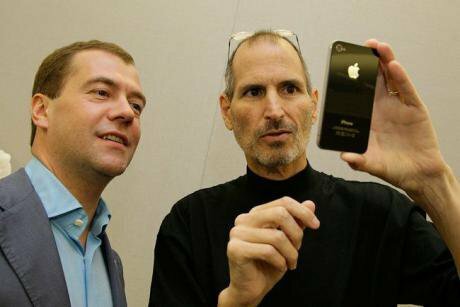 On the other hand, of course, media platforms that use crowdfunding may be ideologically independent, but they rely totally on readers’ subscriptions and donations; and since this is something very new in Russia, these platforms are unlikely to have enough cash to pay journalists properly, rent an office or, for example, fund fact-finding trips away from Moscow. Even if it is possible to get an online media venture off the ground in Russia, there is always the possibility that Roskomnadzor will shoot it down.